I am pleased to announce that I have completed the JLPT N4 Vocabulary and Kanji courses on Memrise. 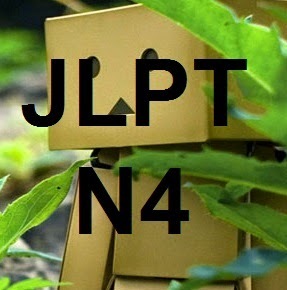 Unlike the JLPT N5 course the N4 courses are separated between vocabulary and kanji. This was because of the large number of kanji and kanji based vocabulary in comparison to the N5 one. It’s a lot easier to learn kanji through vocabulary which have been grouped together so you can see the different uses and readings, which is what I’ve tried to do. Not only that but the kanji course focuses more on being able to read the kanji, it does this by testing you on the kana with the kanji as a prompt. The English meaning is also present when you learn the word and when you answer a kanji correctly (at least on the computer version). The vocabulary course only tests using English and kana so that the vocabulary itself is learnt. This is because I find that often people learn vocabulary by recognising kanji rather than through learning the word itself. Such as 公園, if you know the readings for the kanji you can guess the meaning, rather than just knowing the word for park is こうえん. Because of the way I’ve set up the courses it’s easier to learn the vocabulary first and then the kanji. I’ve laid out the courses so that the vocabulary will take about 2 months to learn and the kanji 1 month with regular breaks for review. Setting people vocabulary lists to work on everyday should encourage people to practice regularly too where they might not have done previously. At least I hope so! I know I certainly work better if I have daily or weekly tasks to work through.